Healing with EFT: The Emotional Freedom Technique. The body-mind-spirit relationship has long been established. EFT is a popular technique that involves tapping on energy points on the body in order to free oneself of a wide range of emotional and physical disorders. It's also been exceptionally well researched. Dawson Church, PhD, has edited or authored many books, and collaborated with leading authorities including Larry Dossey, MD, Bernie Siegel, MD, Christiane Northrup, MD, and others. ... See More He founded Soul Medicine Institute to research and teach emerging psychological and medical techniques that can yield fast and radical cures. His award-winning book, The Genie in Your Genes, (www.YourGeniusGene.com), pioneers the field of Epigenetics, explaining the remarkable self-healing mechanisms now emerging at the juncture of emotion and gene expression. 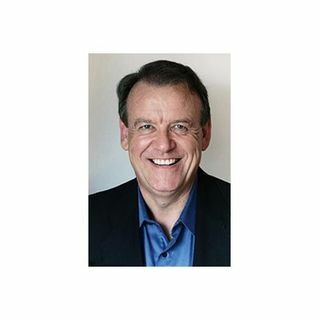 He has authored numerous scientific studies through the Foundation for Epigenetic Medicine, and is the editor of Energy Psychology, a peer-reviewed journal. He shares how to apply these breakthroughs to health and athletic performance through EFT Universe (www.EFTUniverse.com), one of the largest alternative medicine sites on the web.